Plotting how to handle a moving vehicle. 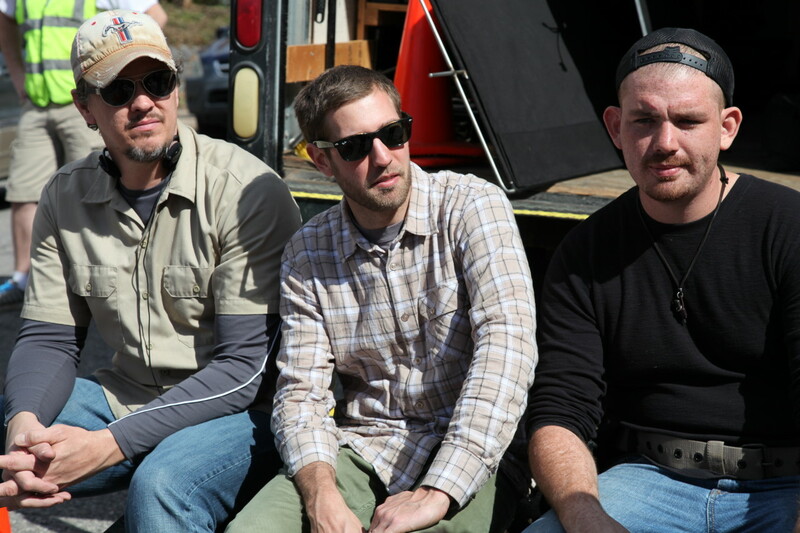 From left to right: Marc A Hutchins (director), Rob Ruscher (DP), and James Odell (gaffer). Camera and GNE are friends. 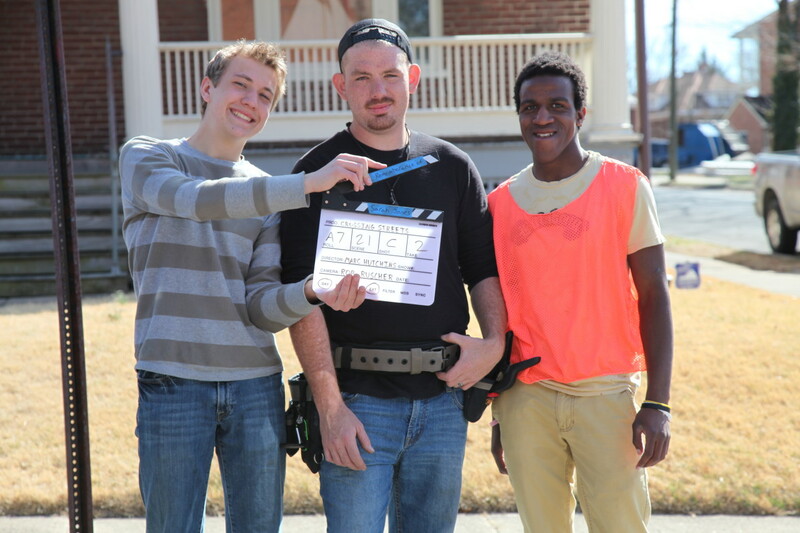 From left to right: Micah Hutchins (AC), James Odell (gaffer), and Hank Snyder (grip). Rachel Armstrong (production design) and Roanoke City police officer/production liaison/actor, “Uncle Kenny”. 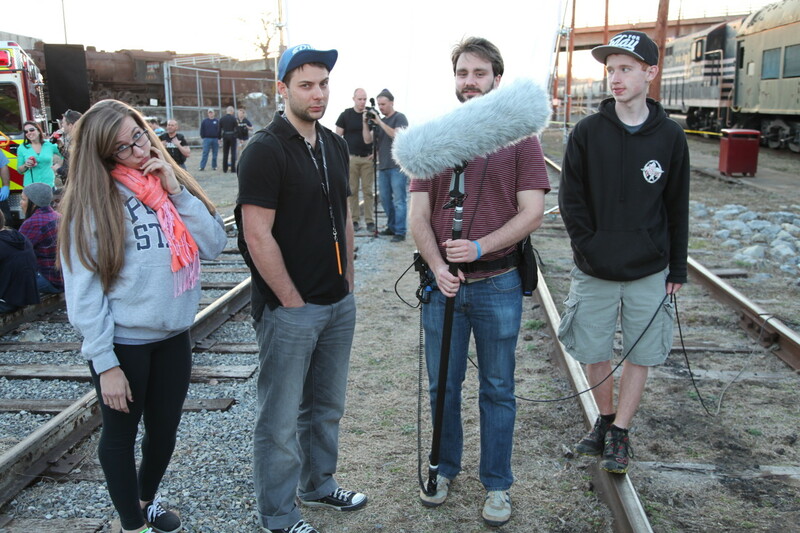 Sound department on day #4 — Train yard scene. Props master is bombing the photo. From left to right: Wendy Wilson (prop master), Jonah Guelzo (location sound mixer), Tyler Lyon (boom op), and Carson Farmer (utility tech).